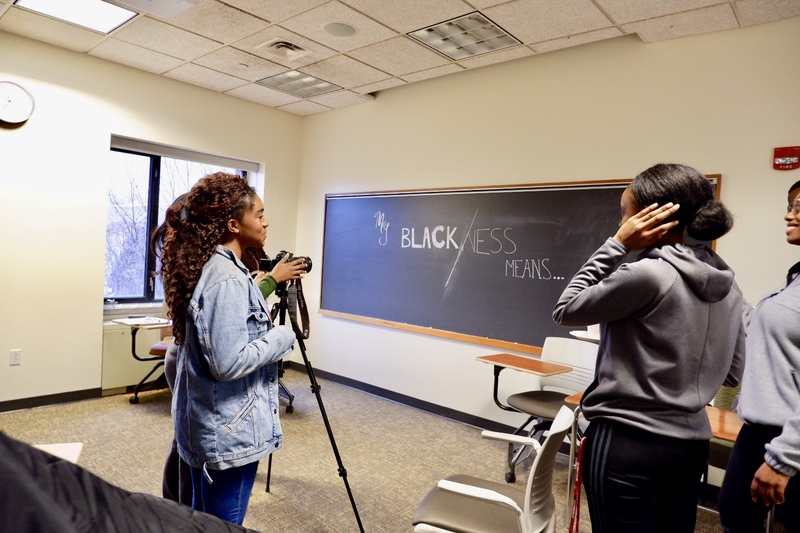 At Culture and Identity Appreciation week, students participated in workshops, lectures, and other events centered around raising the visibility of underrepresented student groups on campus and creating conversations about topics such as traditions, identity, and culture. 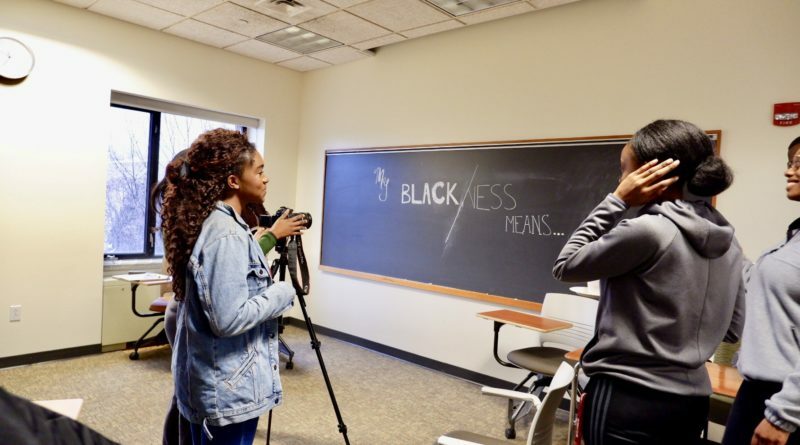 The week began on Monday March 18, the first day of classes after spring break, with a healing workshop and a sexual liberation workshop led by activist Ignacio Rivera. The following day activist Dr. Kyle Powys Whyte, Timnick Chair in the Humanities at Michigan State University, gave a talk on “Identity, Culture, and Indigenous Narratives.” In addition to these two guest presenters, the week included a decolonization teach-in, an intersectionality panel, and Kohlfest, an opportunity for various identity groups to showcase their cultures. Sierra Raskie Jeska ’22 worked with Tyler White ’22 to bring Dr. Whyte to campus for a talk on March 19th and other events over the next day. The two (along with other students) saw Dr. Whyte speak at the International Symposium on Indigenous Communities and Climate Change at the Princeton Environmental Institute in December of 2018. Dr. Whyte, a member of the Citizen Potawatomi Nation, is a professor and an environmental activist who works among other things in the field of climate policy and indigenous peoples. His work especially highlights the intersection of the two, such as in cooperation between climate organizations and indigenous peoples. Raskie Jeska and White were particularly interested in bringing Dr. Whyte to campus because they feel that Swarthmore currently lacks indigenous representation, both in faculty voices heard and in the curriculum. “This is something that the Swarthmore Indigenous Students Association has been working on, so Tyler and I agreed that we wanted to bring Dr. Whyte to campus to increase indigenous representation here,” Raskie Jeska, a member of SISA, said. Swarthmore Environmental Studies professor Giovanna Di Chiro is a close personal friend of Dr. Whyte, so with her help Raskie Jeska and White were able to bring Dr. Whyte to campus. First arriving on campus, Dr. Whyte held a small workshop with members of Swarthmore Zero Waste, Sunrise, Culture and Identity Appreciation week organizers, and a couple of other students invited by professor Di Chiro. The group met in the Intercultural Center kitchen to discuss what institutional climate activism could look like and how it can be more inclusive of indigenous students. After delivering his public talk in Sci 199 in the afternoon, Dr. Whyte sat down with members of the Swarthmore Indigenous Students Association for a catered dinner. Among the guests were Bryn Mawr students, including a grad student of Dr. Whyte’s who will soon be a professor at Bryn Mawr, and other students that professor Di Chiro invited. The next day Dr. Whyte gave a lecture in History Professor Farid Azfar’s “Histories of Water” class. “He talked about how the temporary ‘solutions’ that we come up with to deal with climate change actually end up harming indigenous communities,” said Kristina Stallvik ’21, who is a student in the class. “More broadly, [he explained that] our conception of urgency is based on saving a world which is a fantasy for white settlers and a dystopia for indigenous people,” she said. Raskie Jeska and White hope that bringing Dr. Whyte to campus will usher in more inclusion of indigenous and environmental concerns. “Tyler and I work well together, we have big dreams of opening up this school to environmental justice issues that are often ignored, and uplifting especially the voices of people of color in these discussions,” said Raskie Jeska. With events such as Culture and Identity Appreciation week, and speakers such as Dr. Whyte, they are on track to increasing the visibility of this goal.